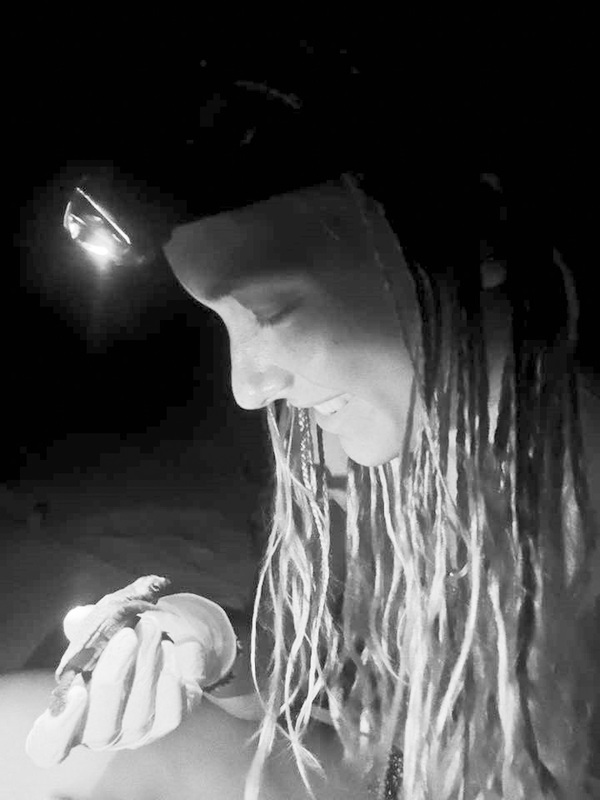 When the turtle babies hatch on the beach at night, Maya Visbeck is in her element. 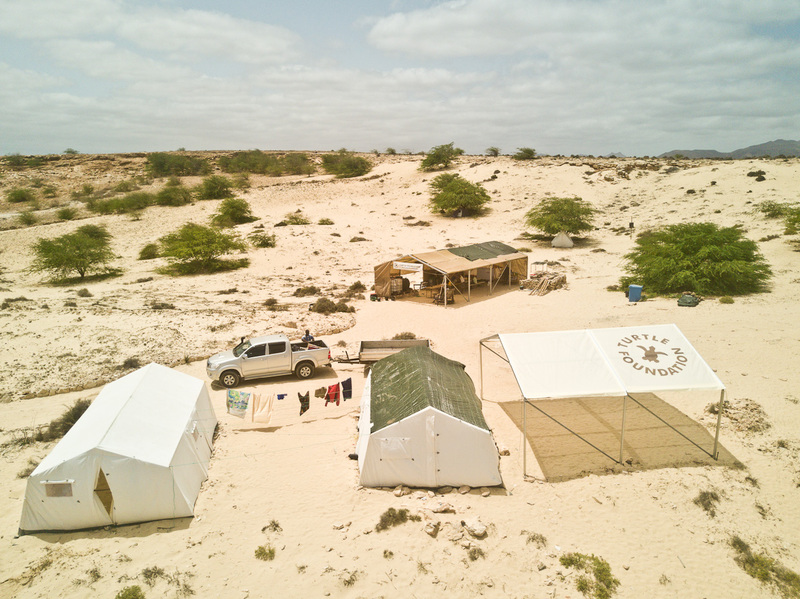 As a long-term volunteer for the Turtle Foundation, she experienced an unforgettable summer on Boavista – recommended for imitation! “My name is Maya Visbeck and I was born in the US and raised in Germany, always by the sea. Since my begging stages of life I have always played in the ocean and just felt free and happy there. For me, it is a special place where water connects with nature. Cabo Verde is a special laid-back country where this exists: 100% pure nature. 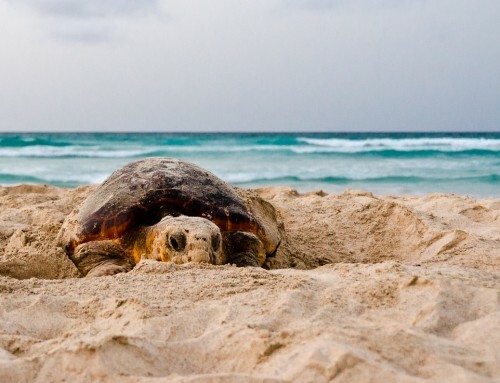 Especially on Boa Vista, where Turtle Foundation is situated, there are plenty of untouched stunning white sanded beaches with crystal blue water. 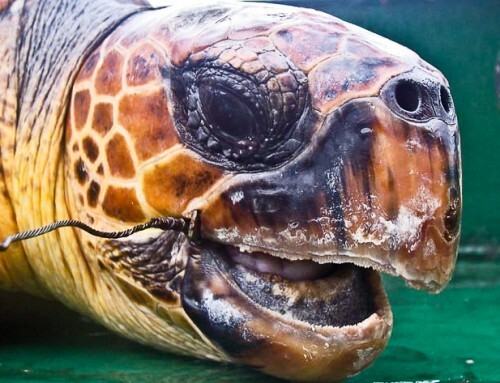 Not only is it becoming a popular tourist destination, it is the home to the endangered loggerhead turtle. The Caretta caretta is an oceanic sea turtle distributed throughout the world. It inhabits the Atlantic, Indian, and Pacific Oceans as well as the Mediterranean Sea. Florida is the most popular nesting site though at the western Atlantic loggerheads nest as far north as Virginia, as far south as Brazil. 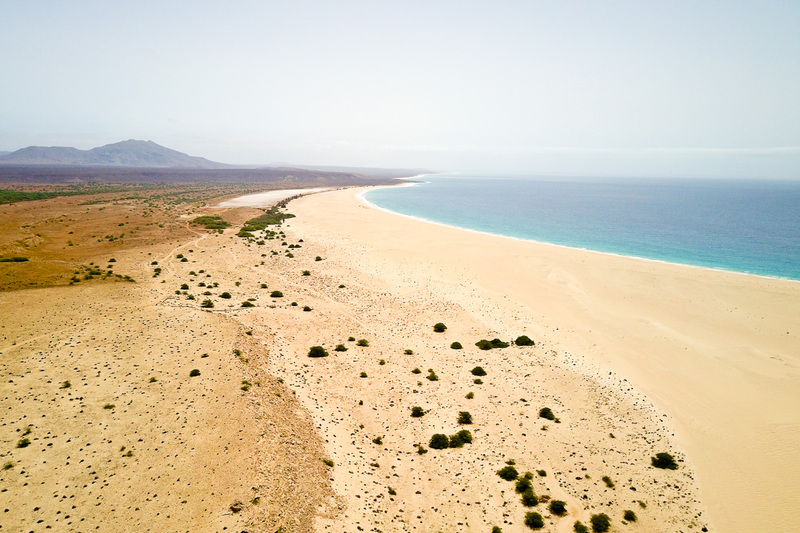 The Cape Verde Islands are the only significant nesting site on the eastern side of the Atlantic and are therefore the home for nesting females and mating males in the nesting season, June to October. Top: Nesting loggerhead turtle on Boavista, encountered in the morning, which happens only rarely. 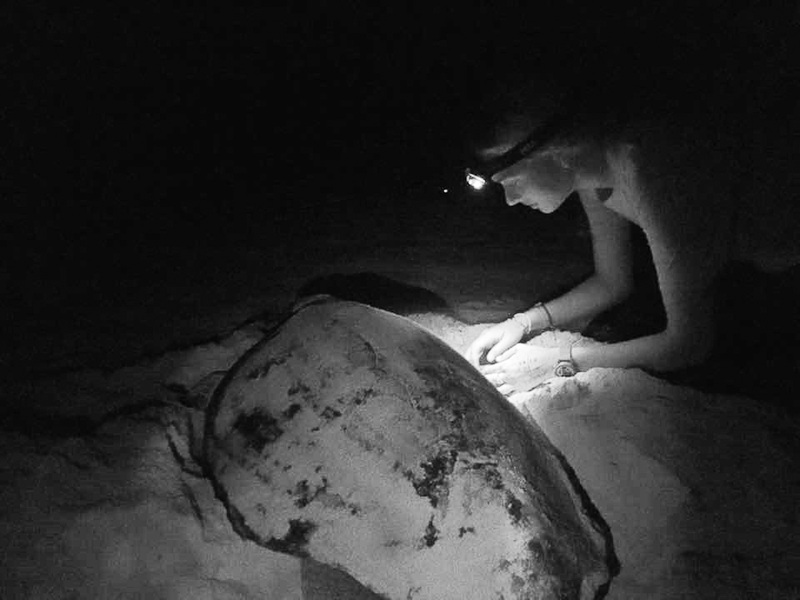 Bottom: On her night patrol, Maya measures and tags a nesting turtle female. 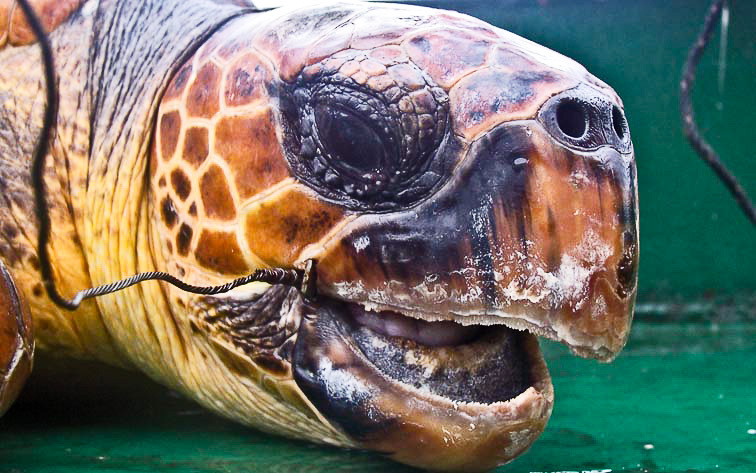 The average, when fully grown, 90 cm long loggerhead turtle weighs approximately 135 kg. They spend most of their lives in the open ocean and in shallow coastal waters and rarely come ashore, besides the females’ brief visits to dig nests and deposit eggs. And this is where Turtle Foundation’s work starts. 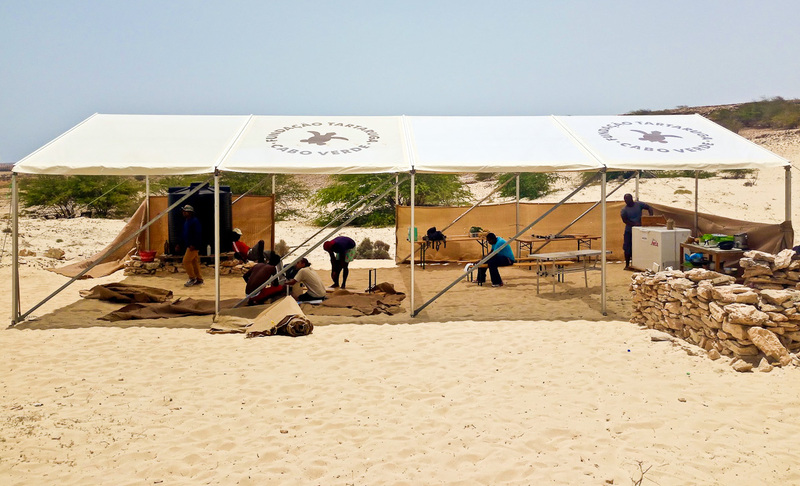 At Turtle Foundation, volunteers have the chance to help on one of the nesting beaches protected by this organization, over 30 km in total. 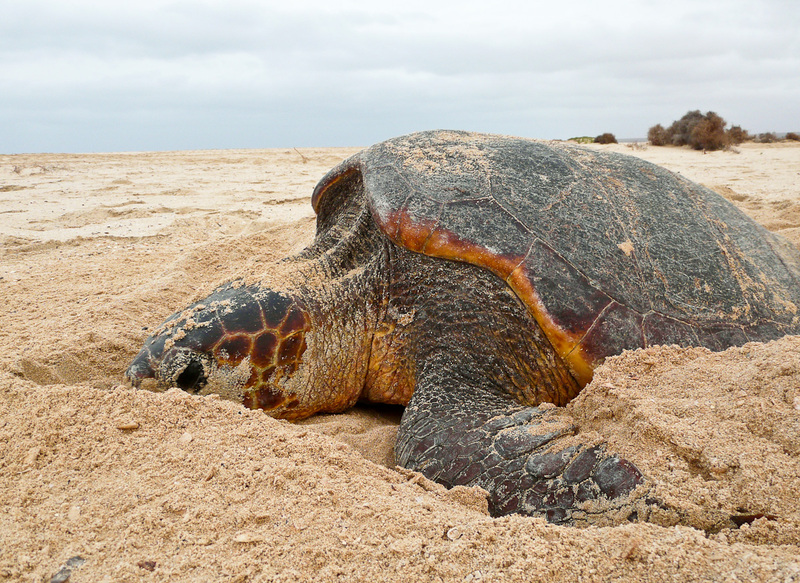 The sea turtles are ostensibly protected by the Cape Verdean laws but are nonetheless exposed to numerous serious threats. 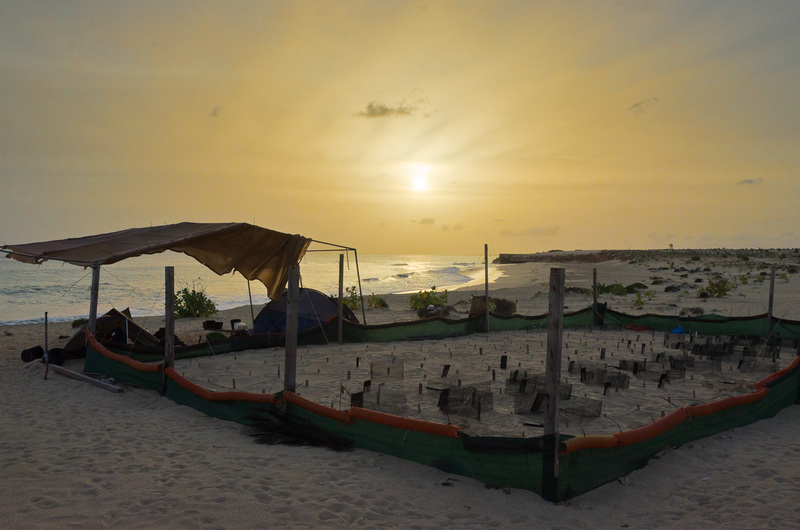 Poaching both at sea and on land and further coastal tourism development is increasing immensely and negatively affect the sea turtle’s nesting behavior. Therefore, any help is wanted and needed to protect this endangered species! 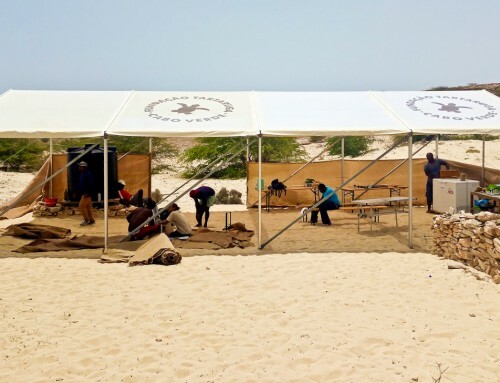 And with success – already in 2008, the start of Turtle Foundation’s activity on Boa Vista, on the first and at this time only beach guarded by Turtle Foundation “only” 60 turtles instead of 600 as in the previous year were identified as killed on the beach, representing a 90% reduction in morality (Turtle Foundation, 2018). And the situation considerably improved even more during the following years. The fact that we human beings are next to ghost crabs, ants, and birds one of the worst loggerheads predators made me realize something needs to change. I, therefore, applied for a long-term internship at Lacacão beach and was more than overwhelmed when I started my journey in July 2017. It meant 10 weeks full of environmental education, night patrols, morning census and hatchery work. Because I was there for over 8 weeks I was able to become a patrol leader and show short-term volunteers the necessary work. This usually included tracking all the activities on the beach, measuring the turtle’s shell in length and width, and if females were encountered laying eggs they were tagged to able to identify them in the future. Chips and metal taggs were punched in their flippers, DNA samples were taken, and if necessary, the nests were relocated to a quieter and better protected beach… All that was done during night time. 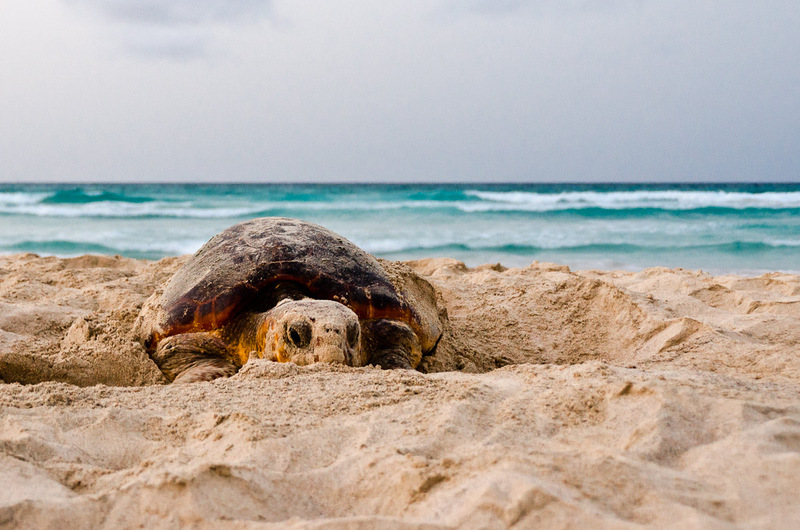 By relocation, the eggs and the baby turtles will have a higher chance to develop and to hatch, and make their way to the ocean, which is, in fact, the biggest obstacle in their first two weeks. It was truly a once in a lifetime experience to see how the relocated eggs were put into a new nest around 55 days before the first hatchlings made their appearance. It is something that cannot be explained but only seen with your own eyes, showing the full process of Mother Nature’s power. Top: The Lacacão camp. 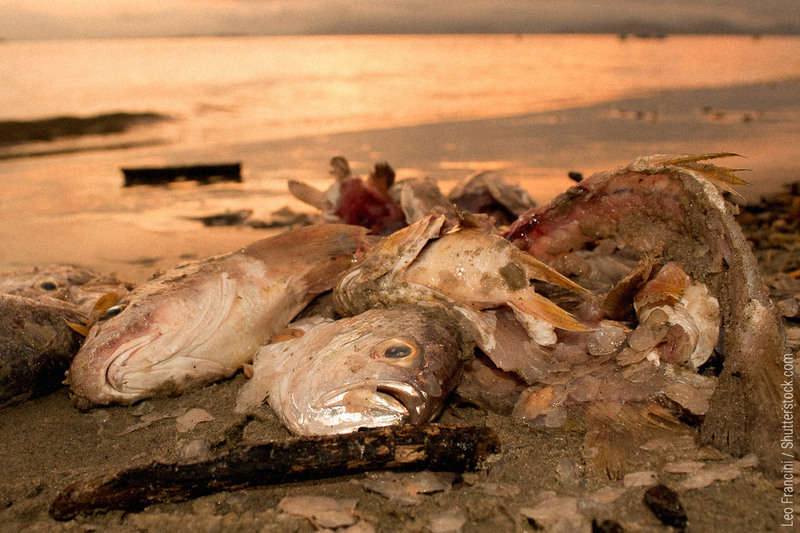 Bottom: The hatchery at the beach of Ponta Pesqueira. Maya working in the hatchery at night. During the day, when patrols and little nap sessions were over, it was time again to socialize with the team, including coordinators, rangers and, volunteers. 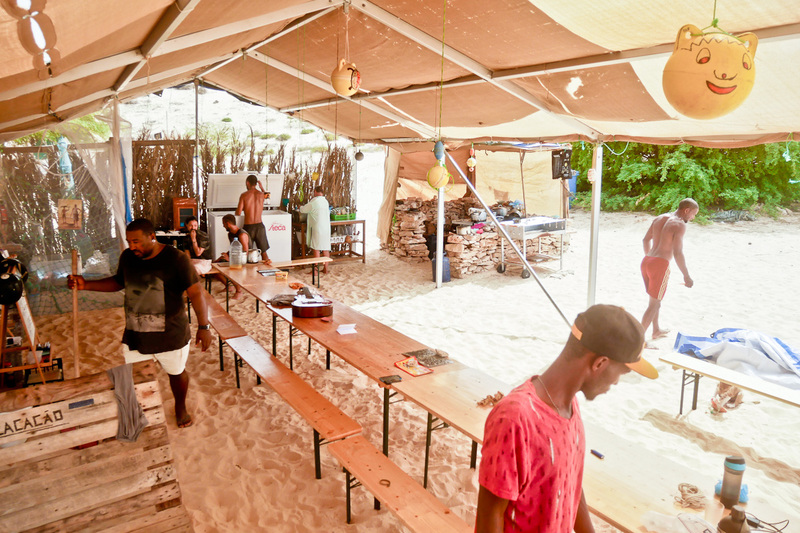 Playing games, reading books, cleaning camp or simply just going to the beach and enjoying nature is the “no stress” Cape Verdean lifestyle. 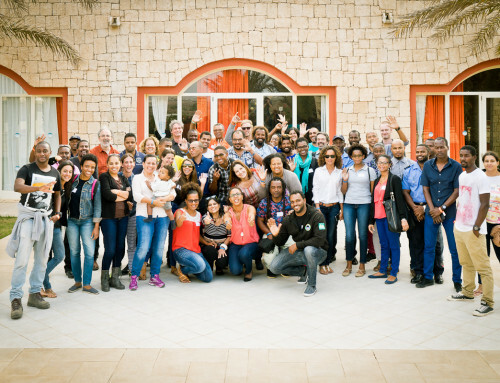 Turtle Foundation does an amazing job where people from all over the world can connect and share their love and experience for this work together. And once in a while, they organize island tours or you can enjoy your days off in Sal Rei, where fresh pizza and pasta is waiting for you to enjoy. 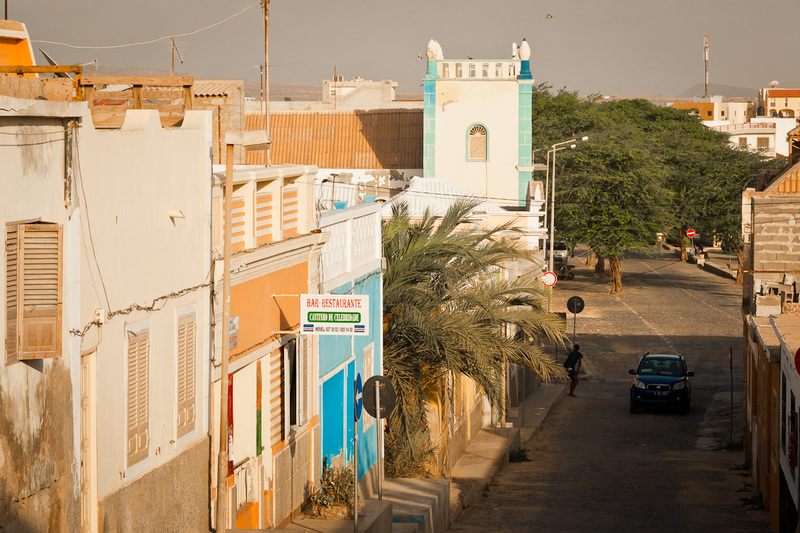 It is a very simple life in the Cape Verde islands, which represents its unique culture. In the mid-day heat the Lacacão-Camp is rather quiet. Free days offer the possibility to visit the city of Sal Rei. My 10 weeks at Lacacão beach were truly an experience of a lifetime that I will never forget. 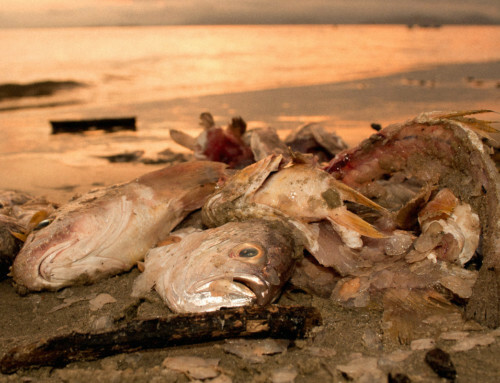 It made me think critically about human consumption and our impact on the environment. Turtle Foundation is a very professional organization that provides work for any persons’ passion in the marine field. It is a place where I felt at home and where I left a little piece of my heart. Therefore I can only recommend simply giving it a go and hop on a plane to Boa Vista. 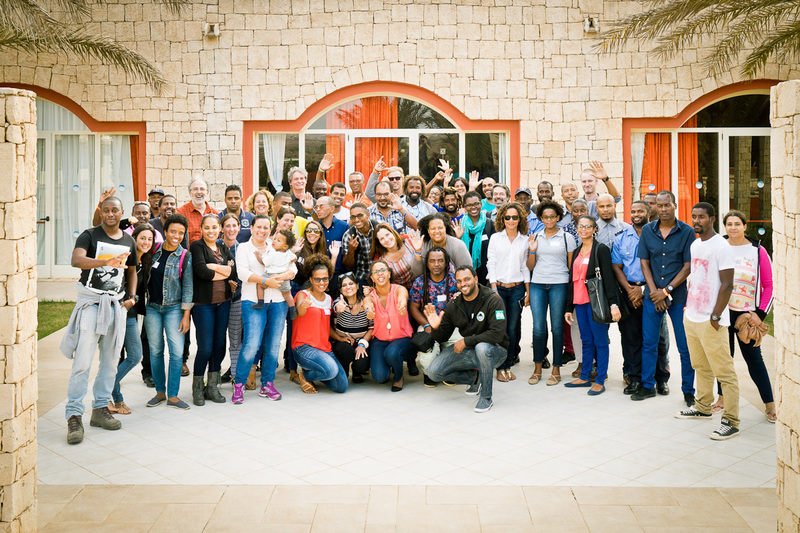 I will definitely work with Turtle Foundation and cannot wait for my next experience in Cape Verde with Turtle Foundation! This text was created by Maya Visbeck and approved for publication – many thanks to the author! If you would like to share your experiences, please write to info@turtle-foundation.org. Top image: “Cabo Verde is a special laid-back country where this exists: 100% pure nature. ” The beach of Curral Velho directly northeast of the Lacacão Camp.